Erin A. Ellis is an artist based in Malden, MA. 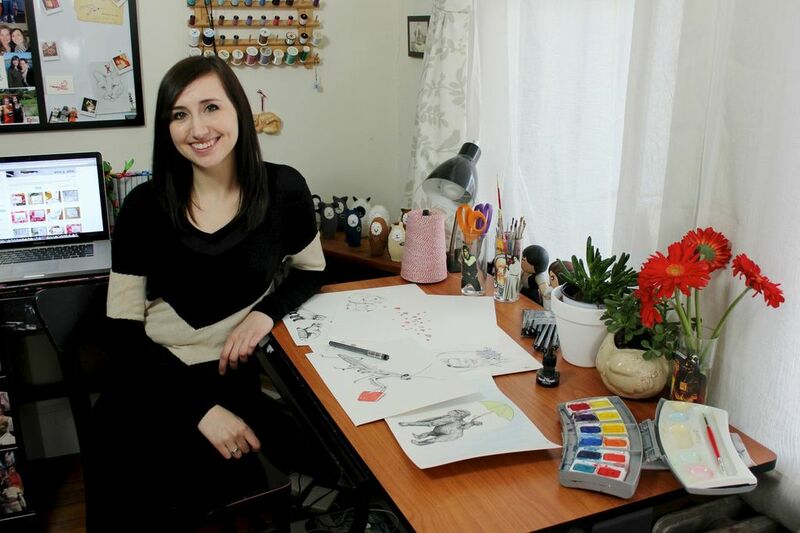 She graduated from the Pratt Institute in Brooklyn, NY and received a BFA in Illustration. She works mostly in pen and ink and watercolor. She draws, paints, prints, and packages her work all out of her in home studio under the watchful eye of her cat Russell.